Making the electricity grid futureproof, enabling the increase for all-electric households, EV and local solar energy. We are in the midst of the transition towards clean energy. The way we use, produce and trade energy is changing rapidly. In order to facilitate this transition, existing energy systems, of which the electrical grid is an essential component, need to be adapted and upgraded. Dutch grid operator Alliander is constantly working to make sure the grid remains efficient, reliable, safe, fast and cost effective. A smart grid means a grid that is ‘smart’ enough to facilitate the new ways we use, produce and trade energy. This is mainly done by adding the right amount of IT components to the electrical grid for remote monitoring and control purposes. 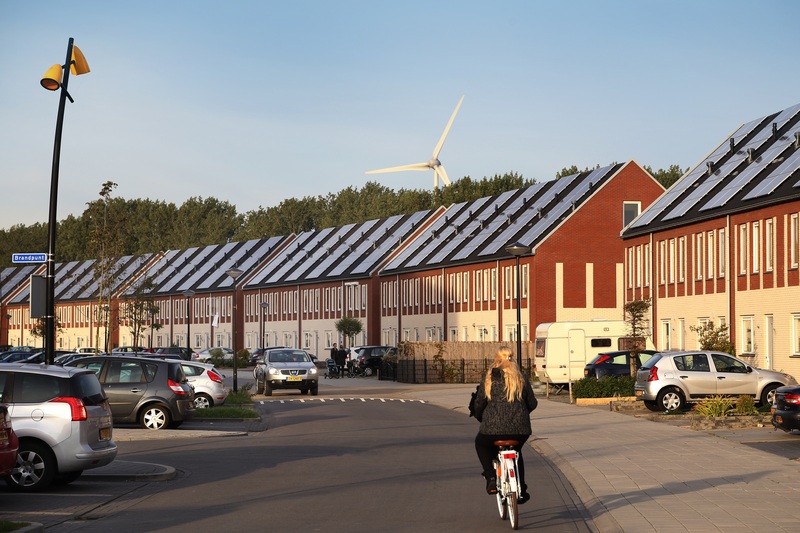 Within City-zen, the electricity grid will get ‘smarter’ up to and including the doorstep of approximately 10,000 homes located in the Amsterdam Nieuw-West area, which are connected to this part of the grid. This intelligent electricity network, respectively the smart grid, in Amsterdam New West is already and will be further equipped with computer and sensor technology at key nodes of the grid, and with smart meters at the dwellings. Currents and voltages are continuously monitored to facilitate more accurate remote monitoring and control functions. This information technology facilitates the remote operation, from a central location (control room), of the medium and low voltage grid, which is not possible in the more standard ‘analogue’ grid. Give relevant realtime information to all grid users (home energy systems, energy producers, and traders) about when it’s a favourable time to transport, store or trade energy. In the future we might add incentives to this information to be able to direct user behaviour. A smart grid is a crucial part of a larger, smart, integrated, and sustainable energy system.